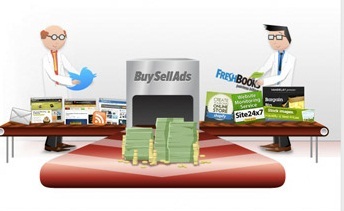 Customize BuySellAds 'Ad Sales Widget' NEW! BuySellAds recently introduced couple of changes to the site and brought up a whole new Ad Sales widget that is a replacement of older 'market place widget' that they had. Ad Sale widget now has a whole bunch of features to be use from. Looking forward to the new widget, we took no time to implement the amazing tool that would hopefully further increase our ad sales not only from the BSA market place, but also from the blog Advertise Us page. We have customized the Ad Sales widget from default Ad Sales Widget to our Advertise Us page implementation. #3 Listing out Site Stats (We can mention our Blogs statistics such as page views, visitors, average time on blog etc) as per Google Analytics. 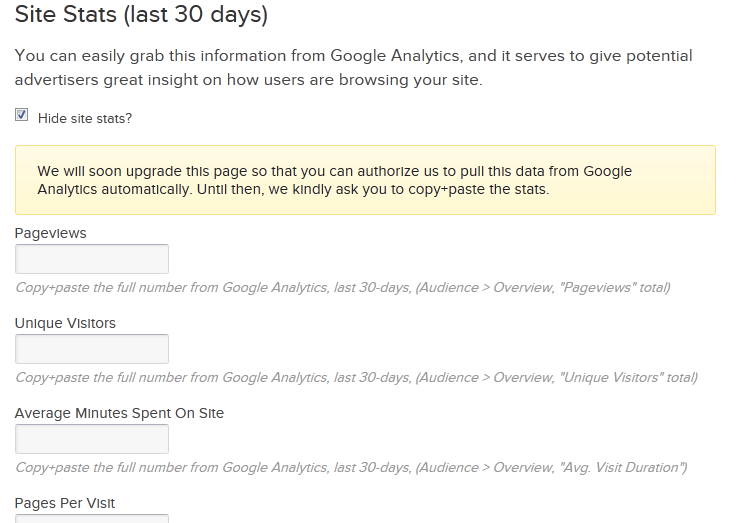 Just as before, we can opt in or out from displaying social stats of our blog with the help of check boxes. One of the best features that were made part of Ad Sales widget is the amazing contact form. Obviously your advertisers would want to contact you in any case so a contact form seems a must. 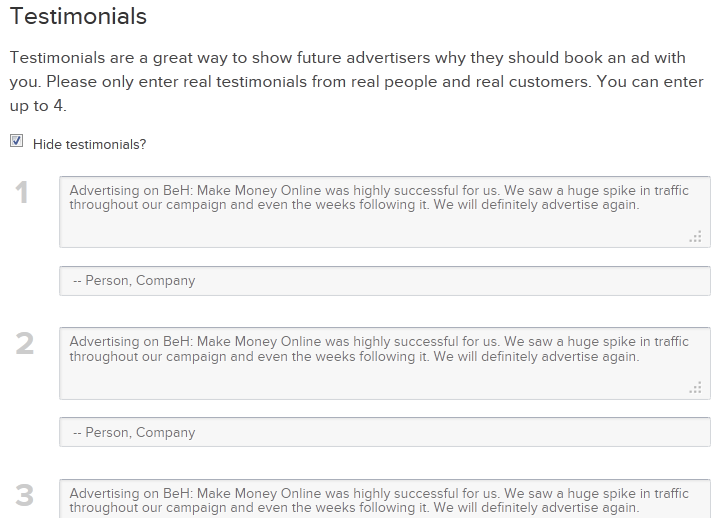 Previously, the advertisers used to contact via Contact Us page independently, and we hope this new add on would make things easier for them. How To Customize BuySellAds Ad Sales Widget? Well, there can be tons of ways that you can customize the widget to your liking. You can easily pull out the attributes used with in the Ad Sales widget and place in new values as you wish. We have listed couple of 'main features'/attributes that you can customize to give a personnel touch to your Advertise use page so that it would match the blog's template overall too. To make any of the below customizations, you simply have to add the respective code (CSS) to your blog's Advertise Us page HTML section. Notice in the image below how our main heading for the Ad Sales widget looks like. We have change the color, size etc as shown below. Change the 'color' attributes, font-size etc in the code above. Edit the border styling for the box around Social Stats. You may change the color or border size from the highlighted attributes in the code above. Change #333333 to any color code of your choice. There are tons of more ways that you can customize the widget. In case you're willing to customize their style sheet in bulk, you can download it here. Hope this widget would help you guys improving your ad sales. Best of luck friends. Leave out your comments in case of any problem that you might face. 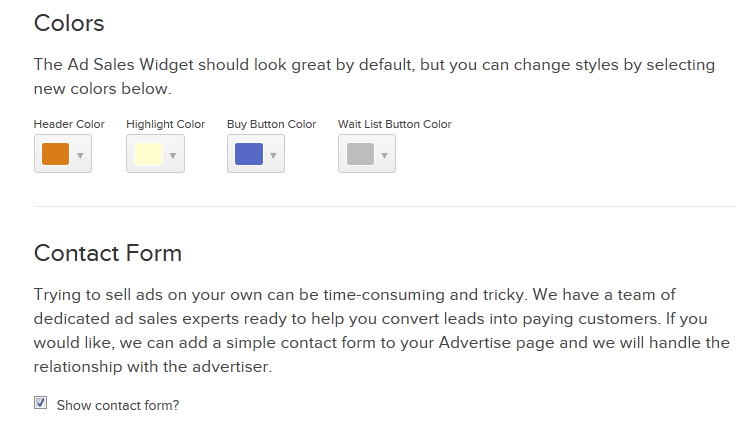 BloggingeHow | Making Blogging Simpler: Customize BuySellAds 'Ad Sales Widget' NEW!